They're sooo in trouble!!!. 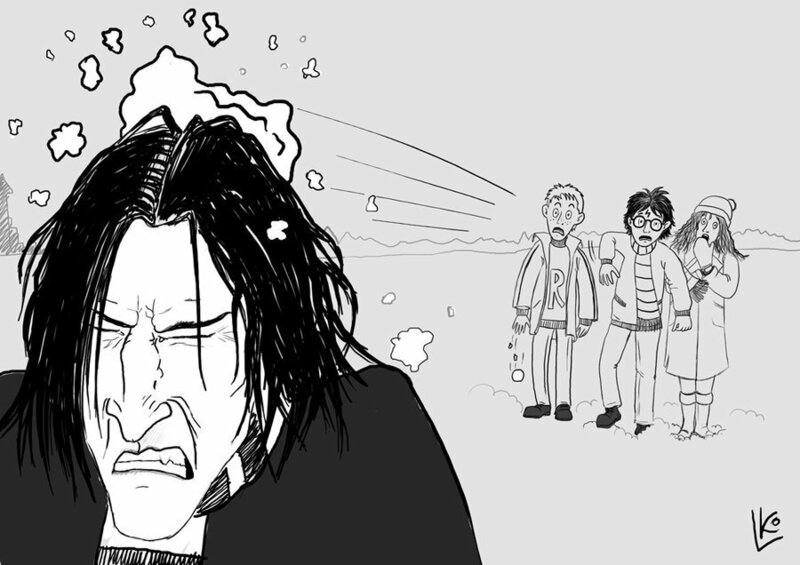 Hogwarts snowball fight gone suddenly wrong!. HD Wallpaper and background images in the severus snape club tagged: severus snape potions master harry potter hermione granger ron weasley snow fight. The thing NOT to do at Hogwarts !!! Quick, guys, under the invisibility cloak !! !